The Waterpik® Water Flosser is ideal for all patients. The technology makes it quicker and easier to achieve excellent oral hygiene levels and water flossing is particularly useful for patients with braces or implants. This month we are focusing on the care of dental implants. 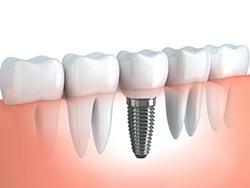 Dental implants are a popular option for the replacement of missing teeth, and the modality has now produced around a $1 billion industry. Many consider dental implants to be the next best thing to a healthy natural tooth; they are associated with security and stability and offer better improvements to oral health related quality of life than other treatment options.1 Survival rates are high2 and a great many patients enjoy cost-effective and successful outcomes. Dental professionals therefore require commitment to meticulous maintenance care. Research reveals that poor oral hygiene and the oral health issues resulting from it are one of the major causes of failure of dental implants, which may lead to additional surgery and/or bone loss.5 Gum health is vitally important and patients need to understand that brushing alone is not enough to keep the mouth healthy or to maintain the integrity and longevity of restorations. Waterpik® Complete Care incorporates the Waterpik® Water Flosser with a Waterpik® Triple Sonic toothbrush in one convenient unit. The Waterpik® Triple Sonic toothbrush is clinically proven to remove 9X as much stain as a regular toothbrush. Plus, the Waterpik® Water Flosser used with the unique Plaque Seeker® Tip to clean around implants and above the gum line is more than twice as effective as string floss for dental implant patients.7 The special soft Pik Pocket® Tip is also ideal to effectively clean below the gum line, where pulsations of water gently flush out bacteria. Take a look at the Waterpik® Complete Care 9.0 unit here. Speaking of events - Grab a free lunch! 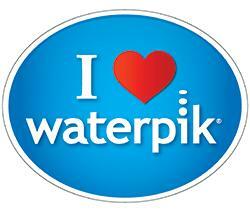 Yes, there is such a thing – when you book a Waterpik® Lunch and Learn at your practice. Our professional educators are all practising dental hygienists and dental therapists with extensive experience. They can come to your dental practice on any convenient date and provide a live demonstration of the Waterpik® Water Flosser. They will also offer advice about getting the very best from the water flossing technology and show you the substantial body of clinical research that supports the Waterpik® products. The educator will be happy to answer all your questions, supply patient leaflets and best of all, there is a free lunch for you and your team! Renvert s, Persson Gr. Periodontitis as a potential risk factor for peri-implantitis. J Clin Periodontol. 2009;36 suppl 10:9-14. doi: 10.1111/j.1600-051X.2009. 01416.x.